Every once in a while, I come across an article or a blog post that makes me think, that I choose to share on Google Reader with comments. Now, I know not everyone in the world gets my shared Google Reader posts (which I’m not complaining about — I’m sure you manage to find xkcd all on your own, thank you very much), but I thought I would inaugurate a new little semi-regular series here at the blog that expands on that idea. Basically, I’ll provide a link to an article I found intriguing, share my own reaction, and ask you guys what you think. I love the comments you post on our AMQ posts, and I have no doubt that as a group, you’re a pretty remarkable collection of blog readers, with opinions that are well worth having. Dear publicity folk: You know I love you, am philosophically inclined to and aligned with your goals, and I know you’re trying to do your job in innovative and interesting ways. I can’t blame you for that — indeed I applaud you. But this is a simple fact: The moment you make me jump through all sorts of hoops to access a book you want to publicize, you lose me. Because I am lazy, because I don’t take kindly to having to leave even more information about myself in someone else’s hands, because I don’t like feeling I’m not trusted and because I have lots of other books competing for my interest which don’t require me to do anything else but read. Now, I love my Kindle. Love reading on my Kindle. I don’t put too many new books on it, because its main purpose is to make it easier for me to read manuscripts, but I’m not against the idea of reading published books on it. If I could find a sort of lending library for ebooks, I would be all over that — until then, most of the finished books I read are ones I either borrow from the library or have on my shelves. That said, I had my own moment of eARC fail last year at BEA. I picked up a code from a publisher for a book I’d heard about and was dying to read, went through the whole process of signing up (which Scalzi did not), but when I got through all that, all I could do with the novel was read it on my computer. And, well, I can spend something like 10 hours or more a day in front of my computer. When I’m reading for pleasure, I don’t want to be tied to it. I want to curl up on the couch, or sit in the sun on the back deck. Hell, I want to use my Kindle for the purpose it was designed. So did I end up reading the eARC? No. For publicity purposes, I agree with Scalzi — making reviewers jump through major hoops is a fantastic way of ensuring you won’t get too many reviews. But what do you think? Are you a fan of eARCs? (With the understanding that the purpose of any advanced reader copy is to promote the book and get people excited about it.) Do you think they work? 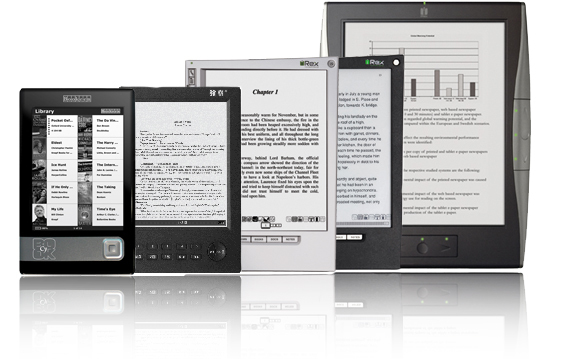 And even more basically — do you have an eReader of your own? If so, how do you use it? I don't really know much about eARCs, but from what you (and Scalzi) have said, they sound annoying. They're asking you to read this book, but making it more difficult than it needs to be. I do, however, have a Kindle. I got it because I'm one of those people who carry about ten books around with me, and this was considerably more convenient. I use it for basically anything – new books, public domain books, stories I've written or that my friends have written and want me to read, even documents my teachers assign. I still love having actual books to hold, and I still buy them like crazy, but I *adore* my Kindle. I do get eARCs, and read them on my Kindle. I agree with you, it's much better than trying to read them on my computer. When I get an eARC that's not Kindle-compatible, it definitely makes me less eager to read it. I may eventually get around to it, but I may just pass on it. I think if they are sending physical copies of the page with all the information on it, they might as well send the ARC itself. I can see wanting to save paper/money/postage on not printing up a bunch of ARCs to send out, and it's obvious they are worried the ARC may be stolen and leaked to the public (thus, having to make a profile on their website), but I don't see why they can't just email it to you as an attachment? That seems like it would be easiest for everyone involved. Occam's razor. I don't have a e-reader, so I can't comment on that part of your post, but I did want to throw in my two cents about the eARCs. I'm not against eARCs–as long as they don't have restrictions on them. Deadlines–after which the eARC becomes inaccessible, or files that require many hoops to get through are not accessible. I think something like NetGalley would be a good idea. You have one password for access to many galleys (including from different publishers) and the only restriction is no multiple downloads. That seems about perfect to me!